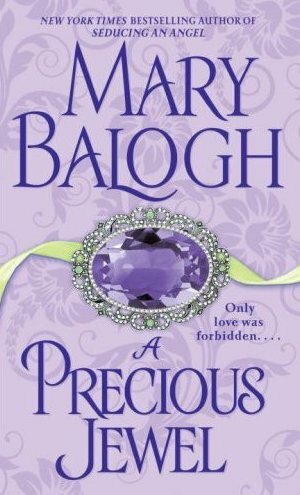 SYNOPSIS: New York Times bestselling author Mary Balogh weaves a sensuous spell of romance that brings together the unlikeliest pair of lovers in the unlikeliest place of all–an infamous London house of pleasure. She was unlike any woman he’d ever met in the ton or the demimonde. But Sir Gerald Stapleton frequented Mrs. Blyth’s euphemistically dubbed “finishing school” for pure, uncomplicated pleasure–and nothing else. So why was this confirmed bachelor so thoroughly captivated by one woman in particular? Why did he find himself wondering how such a rare jewel of grace, beauty, and refinement as Priss had ended up a courtesan? And when she needed protection, why did Gerald, who’d sworn he’d never get entangled in affairs of the heart, hasten to set her up as his own pampered mistress to ensure her safety–and have her all to himself? For Priscilla Wentworth, the path leading to Sir Gerald’s bed had been as filled with misfortune as it suddenly seemed charmed. But Priss couldn’t allow herself to believe she’d ever be more to a man like Sir Gerald than a well-cared-for object of pleasure. Now, despite Gerald’s deep distrust of marriage, neither scandal nor society’s censure can keep them apart–only the fear of trusting their hearts. 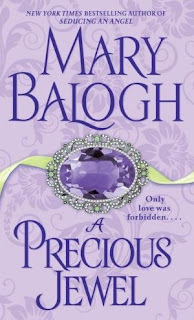 I have read quite a few Mary Balogh novels over the years but seem to have got stuck on the first book of the last series for some reason.